Looking for a piece to stand out? Opt for a bold staple with this Ooftish flecked sweater. 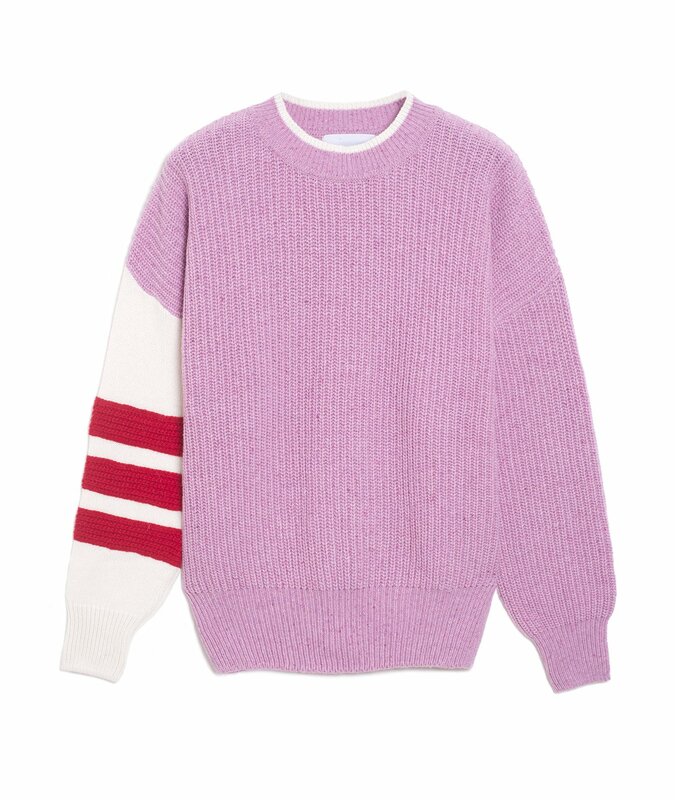 This crew-neck piece has been crafted from a ‘notice-me’ pink yarn. The white jersey sleeve has been decorated with structured ribbed red panels to offer a unique textured effect. This cosy but on-trend boxy-shaped jumper lends this style an aesthetic that is both urban and elegant.